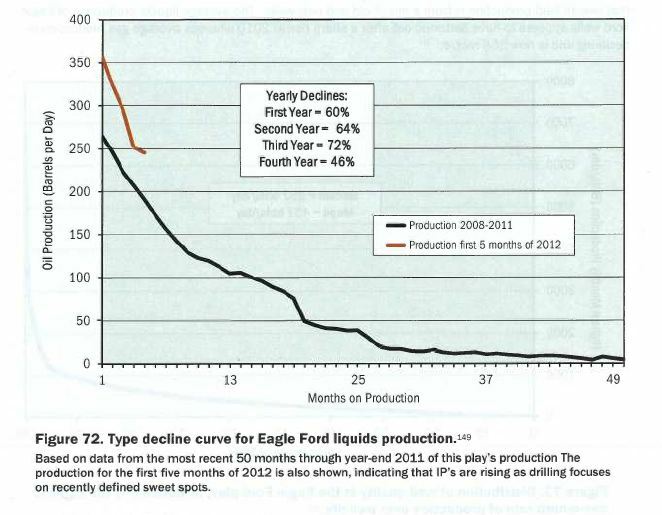 Shale Reserves – Revolution or Ponzi Scheme? A study written by J. David Hughes and published in February by the Post Carbon Institute claims that shale gas reserves are vastly overstated. “Drill Baby Drill – Can Unconventional Fuels Usher In a New Era of Energy Abundance?” A companion article by Deborah Rogers claims that the shale “frenzy” is a Wall-Street-created bubble, that “U.S. shale gas and shale oil reserves have been overestimated by a minimum of 100% and by as much as 400-500% by operators according to actual well production data filed in various states,” and that “shale oil wells are following the same steep decline rates and poor recovery efficiency observed in shale gas wells.” “Shale and Wall Street: Was the Decline in Natural Gas Prices Orchestrated?” Both are published on a website called shalebubble.org. These nay-sayers are continuing a tradition that has followed the oil and gas industry for decades – the debate between the peak-oil advocates and those who believe we will never run out of fossil fuels. Hughes’ study is mentioned in “What If We Never Run Out of Oil,” by Charles C. Mann, in the May edition of The Atlantic magazine. Mann gives a broad historical perspective to the debate over the ubiquity of fossil fuels. Mann begins by recounting his visit to the Kern River oil field in California many years ago. One of the first and biggest oil fields discovered in the US, Kern River was discovered in 1899. In 1949, after 50 years of production, analysts estimated that 47 million barrels of recoverable reserves remained. In the next 40 years, the field produced 945 million barrels, and in 1989 analysts estimated the field’s remaining reserves at 697 million barrels. By 2009, the field had produced more than 1.3 billion barrels and remaining reserves were estimated to be almost 600 million barrels. Mann then tells the story of M. King Hubbert, a prominent geophysicist at Shell oil in the 1950’s. In 1956, Hubbert predicted that crude oil production in the US would peak between 1965 and 1970. In 1964 Hubbert went to work for the US Geological Survey. 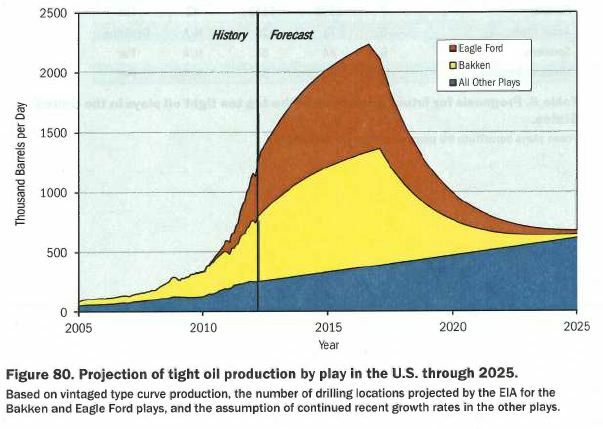 The head of the USGS at the time, Vincent E. McKelvey, was an optimist about US oil and gas reserves, and his agency issued optimistic assessments of US oil industry’s future. McKelvey denigrated Hubbert’s pessimistic projections and eventually forced Hubbert to resign from USGS. Although McKelvey derided Hubbert’s theories, they proved to be correct, and the decline in US production led to the oil embargo and gas lines of the 1970’s. Jimmy Carter adopted Hubbert’s views in declaring that the planet’s proven oil reserves could be consumed by the end of the next decade. The Carter administration imposed energy-efficiency measures including gas-mileage regulation, home-appliance energy standards, conservation tax credits and subsidies for weatherization. 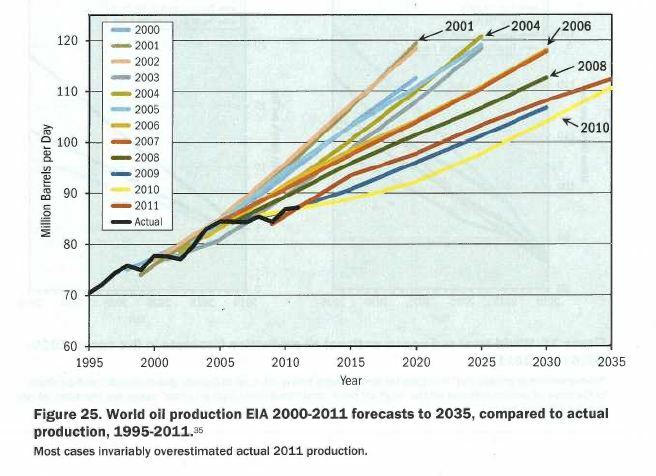 And now the shale boom, and predictions that the US will soon be energy-independent. If the past is any judge, any prediction is sure to be wrong. 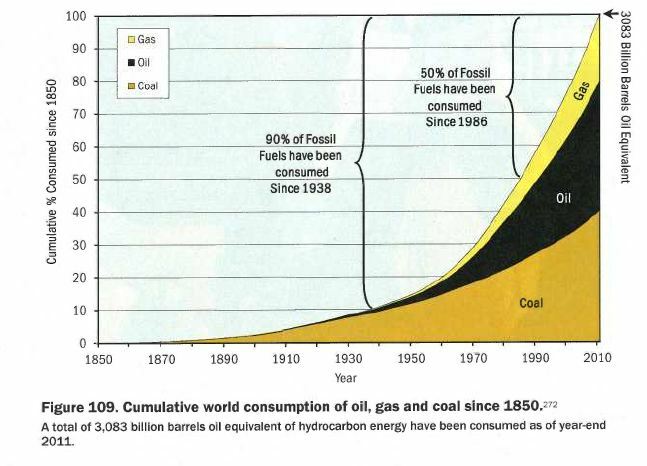 Mann’s article goes well beyond the peak oil debate. He explores the possibility of commercial production of methane hydrate as the next breakthrough in unconventional hydrocarbon resources. Methane hydrate is gas trapped in frozen water crystals beneath the sea bed. Mann says that “Estimates of the global supply of methane hydrate range from the equivalent of 100 times more than America’s current annual energy consumption to 3 million times more.” A core sample of methane hydrate was found to contain 99.4% methane. 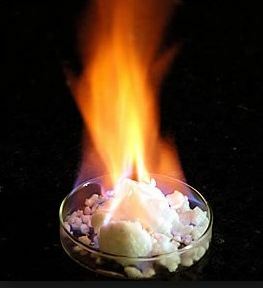 The ice crystals in which the methane is trapped can be lit afire – burning ice. 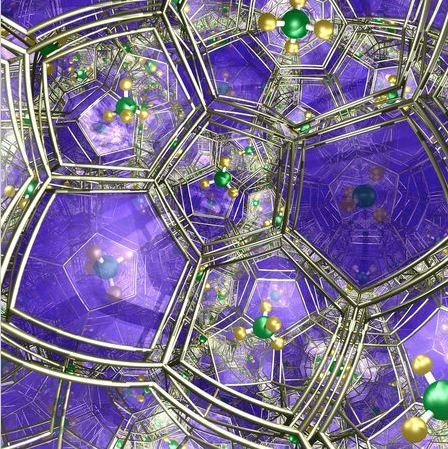 Japan has spent $700 million on methane hydrate research over the past decade. Its ship, the Chikyu, is the world’s most sophisticated research vessel. 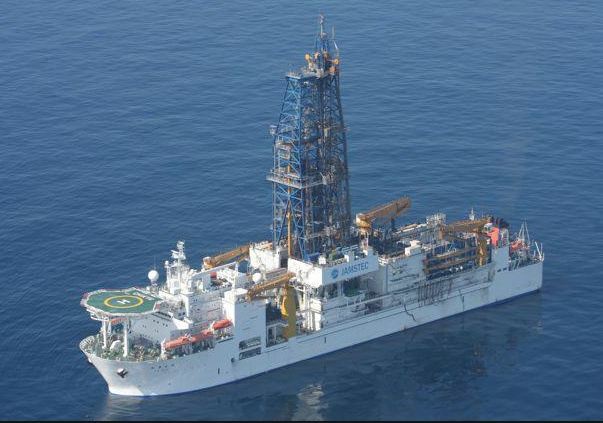 It recently tested a method of recovery of methane from methane hydrate that produced about 4 million cubic feet of gas. The US is unique among the 62 petroleum-producing nations in allowing private entities to control most oil and gas resources. In most nations, these assets are owned or controlled by the government. Michael Ross, a UCLA political scientist and author of The Oil Curse: How Petroleum Wealth Shapes the Development of Nations (2012), says that this naturally leads to corruption. Such oil-based economies become unstable when shortfalls in oil revenues eliminate the sole, unsteady support of the ruling elite. [E]conomic growth and energy use have marched in lockstep for generations. Between 1900 and 2000, global energy consumption rose roughly 17-fold, … while economic output rose 16-fold – as close a link as one may find in the unruly realm of economic affairs. We depend on hydrocarbons for everything from lighting our homes to providing energy to build our computers to running our cars. Modern life would be impossible without hydrocarbons. Humankind’s appetite for energy is insatiable, and is sure to grow as developing countries continue to increase their standard of living. We need to understand and be aware of the consequences. Mann’s article is a good place to start.